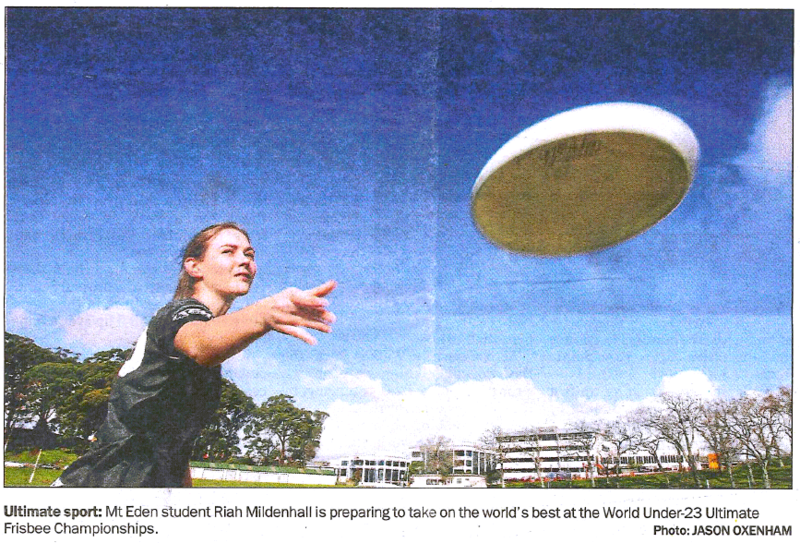 Auckland Ultimate aims to grow and develop ultimate, and publicity is a great way of helping that. Recently there have been articles in the North Shore Times, East and Bays Courier, and now the Central Leader. Thanks to Riah Mildenhall and Sherif Ibrahim for appearing.